Some thoughts: First, as I wrote in my response on The Corner on NRO (“The Human Life Review, Immigration Opponents, and Transparency,” http://tinyurl.com/b78xz9z), HLR does not take a position on immigration policy. We do, however, have a great interest in, and have published many articles throughout our 38 year history on the population-control movement—the roots it has in eugenics, and how it has played a powerful role in the promotion of abortion and birth control, here and overseas. The ideology of eugenics (that people are not equal); and that of population control (that people—either too many or the “wrong” kind—are the problem) are antithetical to the values of the pro-life movement. The question is not whether or not pro-lifers can disagree on immigration policies—of course they can and do. The question of interest to us is how much influence those whose opposition to immigration stems from the belief that population ruins the environment, or that there will be a (yet unexploded) “population bomb,” or that certain races of people should not be encouraged to breed, have in current debates. The connections highlighted in Mr. Lopez’s article are easily verified with simple web searches. And this is not the first time that John Tanton, former president of Zero Population Growth, has been singled out as the mastermind behind the anti-immigration movement (see “The Anti-Immigration Crusader,” Jason DeParle, New York Times, April 17, 2011). So I would say, answering our critics, that it’s not the facts about the organizations that are at issue here. For those individuals who work for these organizations, who feel unfairly tarnished by the population-control connections—see Mr. Lopez’s comments below. The salient point about the information in Mr. Lopez’s article is: Do these connections matter? I would say yes; but that is not at all the same as saying that one can’t be pro-life and pro-immigration restriction. I will say that those who are pro-life might think twice about supporting organizations heavily influenced by environmentalist and population-control ideologies. My article has caused a stir since it was printed and appeared online. There has been much pushback, not from a pro-life perspective, but rather from folks who disagree with what they assume is my stance on immigration. As of this writing the accusations and assumptions are coming at a rapid pace. But since immigration policy is not the thrust of this journal nor of my article, I will leave those debates for other venues. To me, it’s tragic that some pro-life leaders and elected officials have allowed perfectly valid concerns about illegal immigration to lead them to seek counsel from the population-control movement. Refusing to examine the evidence about the purpose of these organizations just makes it worse. If there is one point that fell short in the piece, it is that my assertions commingled current staff members of the organizations I highlighted with the founders and donors of those same organizations. Certainly, it is possible that there are individuals who have sincerely held pro-life views that work for these groups. Not accounting for that is my responsibility alone. To these folks I make the same respectful appeal as I do with anyone else: Look at the evidence for yourselves to understand what the purposes of these organizations are and what the motivations were of the founders and past and current donors. Surely this is incompatible with a pro-life worldview. Once again, this is not to say that one cannot hold restrictionist immigration views and at the same time be pro-life. The issue has always been these specific organizations and their reason for existing. What remains amidst the controversy and emotional reactions that “Hijacking Immigration?” has stirred up is the simple truth that the population-control agenda is in fundamental opposition to defense of the sanctity of life. For pro-life leaders, elected officials, and activists who have been targeted and perhaps deceived by believers in population control, this may be a harsh reality, but it is an inescapable reality nonetheless. 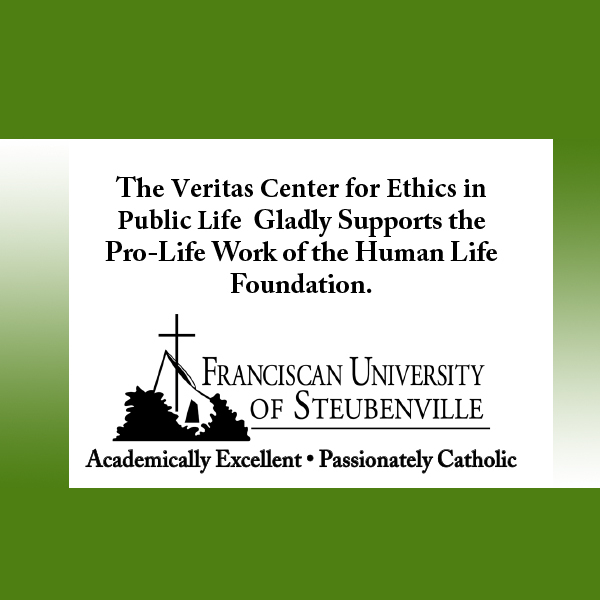 The sooner those who seek to defend the sanctity of life disassociate themselves from FAIR, NumbersUSA, the Center for Immigration Studies and others, the better off they will be in terms of staying true to their own pro-life principles. 4,856 people have visited this page. 1 have visited this page today.